When Merritt and I booked a trip to Japan back in 2016, I thought I was forever checking one country off of my bucket list. Japan was on my “someday” list, but definitely not at the top of my travel list back then. Merritt had texted me asking if I wanted to plan a trip with her and once we discussed some dates and found very cheap flights, we booked immediately! 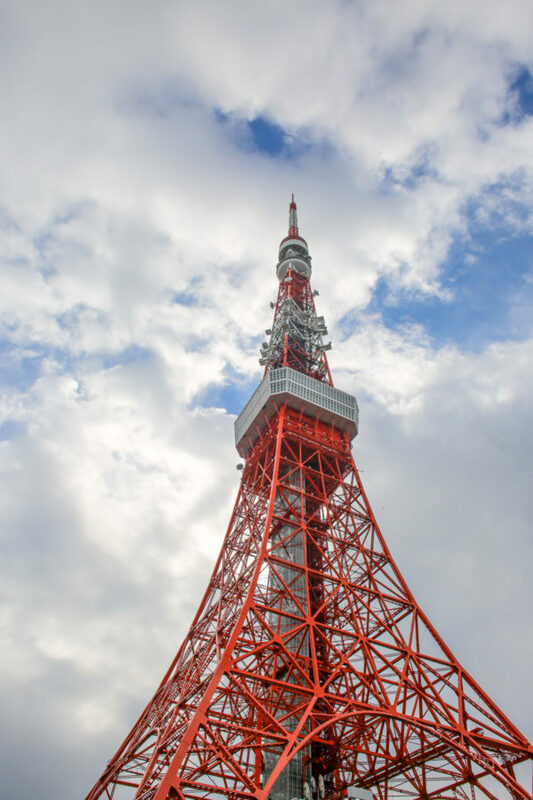 I had a bunch of back-to-back travel that fall and the trip to Japan in November really snuck up on me, but before you know it, I had touched down in Tokyo and was nervously excited about what the next few weeks had in store! Even though I don’t speak a lick of Japanese, can’t even begin to read the language (god bless Google Translate), and I stick out like a sore thumb with my blonde hair, it didn’t take me long to fall in love with Japan. The kind people, the quietly bustling city, the clean streets, learning about the culture, the unique shopping, the beautiful shrines, the stunning temples, the tea, and OH MY GOD, THE FOOD! I’d be lying if I said the food wasn’t about 50% of the reason we booked a trip back so soon. I also loved how we barely ever saw any other Americans! It’s nice to get out of your comfort zone sometimes, especially when you can’t read or speak the language. Truth be told, before visiting Japan, I thought my first trip would probably be my only. Maybe I would come back years down the road, but never did I see myself wanting to go back again after just a year and a half. Luckily, Merritt was in the same boat! We were so fortunate to see some of the stunning fall foliage last time around, but seeing the cherry blossoms was on both of our bucket lists, too. So we nailed down some dates and booked it about six months ago! The second we flew to Hong Kong in 2016, I missed Japan. We spent two weeks taking planes, trains, and automobiles all over the beautiful country (we saw a lot! ), but it definitely didn’t scratch the itch for me. There’s so much to see, do, explore, and eat! Japan is home to the best sushi, ramen, and noodle dishes… Hands down. From fresh tuna at 7am at the Tsukiji Fish Market in Tokyo and sushi at Steve Jobs’ favorite restaurant in Kyoto, to a tiny little 8-seater ramen shop in Ginza that we waited an hour in the rain for… I am so excited to eat my way through each city we visit! (Again.) I can’t forget about the beef, either… We had some excellent kobe beef last time around, but we’re actually visiting Kobe this trip! Oh, and the Udon noodles in Arishiama… SO good. And the fresh mochi we got outside of the Tsukiji Market! And the filled pastries we got in Nara on the main strip. AND THE KIT KATS, how could I not mention the Kit Kats?! You can literally find every flavor of KitKats imaginable in Japan… Matcha, Sakura, Chai Tea, Wasabi, Sake, Strawberry Cheesecake… we bought and tried them all, multiple times. 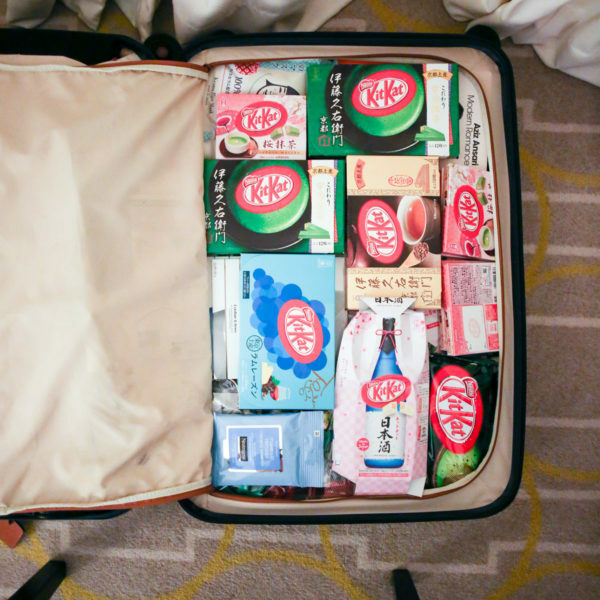 And let us not forget I had to buy an extra suitcase to bring back all of the KitKats I bought “as souvenirs” … Okay, it wasn’t just for KitKats, but it was embarrassingly full of KitKats. *That’s a 27″ suitcase, btw. And yes, I gained like 10 lbs last time I was in Japan. But at least we were headed into winter that time around… With swimsuit season on the horizon, I’m going to be in t-r-o-u-b-l-e.
Also, a bit of a disclaimer… I never shared a travel guide on the blog from the last trip, unfortunately! I still have all of the content that I shot and since it’s a lot of sweaters and fall foliage, I plan to save those photos until this August and publish them then. I’ll be sharing the travel series from this spring Japan trip once I get back in May! 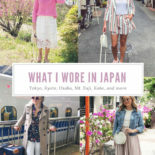 Been following your trip on Instagram and omg it solidified that I need to visit Japan!